Xanax is a highly addictive drug used in treating panic and anxiety disorders. Like many other powerful drugs, mixing Xanax and alcohol intensifies its effects. While an opioid crisis continues to grow in this country, many other drugs also have an impact on the overall statistics of drug abuse and addiction. 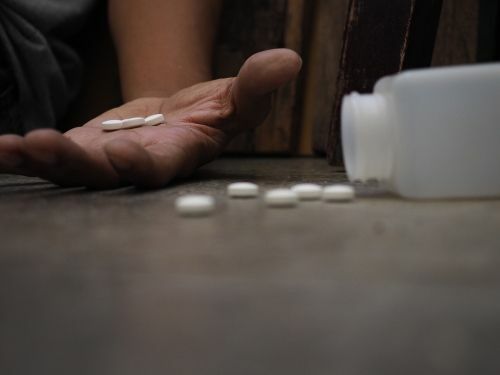 Due to its popularity as a prescription, availability as an illicit drug, and high potential for addiction, there are still thousands of deaths each year involving drugs like Xanax. Xanax is a brand name for the drug alprazolam. It belongs to a class of drugs known as benzodiazepines. These drugs create a calming effect by affecting gamma-aminobutyric acid (GABA), a natural chemical in the body. Xanax is the most commonly prescribed psychiatric medication in the country. When prescribed and used as instructed, it is a relatively safe and effective drug. It takes a lot of the drug to cause an overdose. When you combine Xanax and alcohol, the risk of an overdose and serious side effects becomes much higher. Other drugs that belong to the benzodiazepine family include Valium, Ativan, Klonopin, and more. All of the drugs in this class work by acting on the brain and central nervous system. The characteristics that set these drugs apart are their potency and duration. Xanax and Valium enter the brain the fastest and create the most intense high. The fast-acting nature of Xanax makes it appropriate for treating people with panic attacks, who need almost immediate relief. It also makes it a good choice for abusers who want the greatest impact in the shortest time. People who suffer from panic attacks have sudden episodes of intense fear. Although the danger isn’t real, the body’s physical reactions are. It creates a sense of losing control, having a heart attack, or feeling like they are dying. For some people, panic attacks occur one or two times during their lifetime without any repeat episodes. This often occurs in response to traumatic events or stressful situations. Others have recurrent attacks that affect their quality of life. Repeated panic attacks don’t occur at times when they make sense. They can strike while you’re at work, driving, shopping, or in the middle of a sound sleep. Nothing apparent brings them on, but the threat is very real to the person experiencing them. Often, the fear of having another panic attack becomes the person’s biggest fear of all. Without treatment, the intensity of the attacks increases and the fear of a repeat episode will be realized. For some people, Xanax is prescribed in a low-dosage that they take every day. Others take it on an “as-needed” basis. Your doctor will determine which approach to treatment is best for you. Xanax slows the movement of imbalanced brain chemicals that cause anxiety and tension. The drug boosts the effects of GABA that is made naturally in the brain. The drug acts quickly, producing benefits within an hour after use, usually no more than 15 minutes, and lasting a minimum of six hours. Prescription Xanax comes with a list of precautions and guidelines to ensure it is effective and safe. Always tell your doctor if you drink alcohol or take other medications including those sold over-the-counter. Doctors advise against mixing Xanax and alcohol in any quantity. Women who are pregnant or planning to become pregnant should not take Xanax. Everyone who takes Xanax reacts differently, especially during the initial stages. You should avoid driving or operating any heavy machinery until you learn how the drug affects you. It’s never a good idea to increase your dosage without the advice of your doctor. Taking more to enhance its effects can lead to emotional or physical dependency or addiction. Once you start on a prescription of Xanax, don’t stop taking it suddenly. Also, don’t decrease the dosage. Interfering with your dosage can cause withdrawal symptoms. You should never try to stop taking Xanax on your own. Withdrawal symptoms vary between difficult to unpredictable. Many people are unable to deal with the symptoms of withdrawal, preventing them from successfully quitting. It can also lead to serious symptoms and even death. Once your brain cells become accustomed to the effects of Xanax, removing the drug can result in a rebound of abnormal excitatory signaling. When the activity jumps from cell to cell, the wave of cell excitation can lead to seizures. If you try repeatedly to stop taking Xanax, your risk of experiencing seizures increases. Although following your doctor’s instructions reduces the likelihood of Xanax addiction, it is still a possibility. Always talk with your doctor about any concerns or problems you have taking the drug. When Xanax is misused, either by taking differently than prescribed or for recreational use, it is even more addictive. Some people develop a tolerance when their body gets used to having the drug in their system. They need more of the drug to obtain the same effects. Some people take comfort in knowing that they have Xanax available if they need it. Others take it regularly and increase the dosage when they feel it is no longer working as well. Addiction is more likely when taken in large quantities or over a long period. A person who uses Xanax as a recreational drug doesn’t have any restraints on how much or how frequently they use it. If they develop a tolerance, they often increase the dosage to achieve the same feelings of elation. Xanax abuse has an impact on every area of the user’s life. It often causes problems with relationships including those with their immediate family, friends, and co-workers. Many people miss work because they don’t feel well or they are experiencing withdrawal symptoms. Financial problems are also common. The person spends more money on partying and getting more of their favorite drug. They lose time at work and, eventually, lose their job. Their career no longer takes priority over having a good time and feeding their need for more Xanax. Someone who abuses Xanax is often fatigued and lethargic, no longer showing the motivation or interest in activities they used to enjoy. They can’t focus their attention on any task, making it nearly impossible to perform at their work. Once their use of Xanax takes precedence, nothing else seems to matter. Everyone who mixes Xanax and alcohol does so at a different level. If you take a Xanax prescription and enjoy a glass of wine every evening after dinner, you might not see the danger. People who take Xanax for the high are more likely to use alcohol to deliberately intensify the effects. Because of the way the drug works, even drinking alcohol occasionally can have a negative impact. Both are drugs and they work in the same way. Like Xanax, alcohol is a central nervous system depressant. Both drugs increase the activity of GABA, resulting in a much stronger sedative effect than either drug does independently. Combining them doesn’t just double the effect; it amplifies it. Each intensifies the effects of the other, increasing the sedation of your body to the point that it can shut down. Taking the two together can lead to serious complications, such as respiratory depression, a loss of consciousness, cardiac problems, and more. People who use Xanax recreationally also tend to mix the drug with other drugs. Opioids, barbiturates, methadone, heroin, and hypnotic drugs like Ambien are often taken with Xanax. 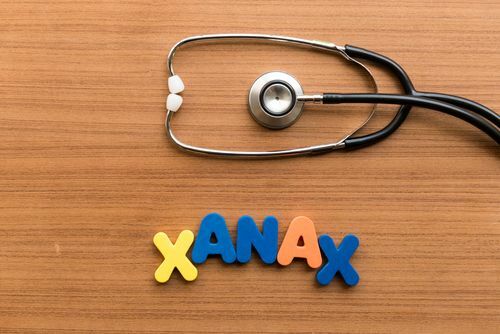 Any of these drugs can intensify the effects of Xanax, resulting in severe drowsiness, clumsiness, and fatigue. The person might have the appearance of someone who is intoxicated and unable to control their movements. Both Xanax and alcohol reduce the brain’s activity, preventing signals from occurring in the central nervous system. While either drug creates a more relaxed feeling, the effects of Xanax and alcohol build on one another. They can cause the user’s breathing to slow down, slur their speech, their pulse, increase their anxiety, and create delirium. More serious side effects produced by this lethal combo include seizures, coma, and death. It doesn’t matter what kind of alcohol you plan to drink, or in what quantities. Mixing Xanax with any kind of alcohol in any quantity is a bad idea. Alcohol use and anxiety are often linked in several ways. People who suffer from panic attacks and anxiety often use alcohol to help them relax, leading to alcohol abuse. People who begin abusing alcohol often develop anxiety disorders. When a person self-medicates their anxiety with alcohol, it makes treating either condition more challenging. Alcohol acts as a depressant, changing feelings of anxiety or panic into an “I don’t care” attitude. The higher the levels of alcohol in their blood rise, the more relaxed they feel. The problem is that prolonged drinking can result in substance-induced anxiety. Instead of calming their feelings of anxiety, it only exacerbates the problem. According to the Anxiety and Depression Association of America (ADAA), an estimated 15 million adults in the US have a social anxiety disorder. Of that number, about 20% also have alcohol abuse or dependence problems. Excessive drinking can lead to a delay in treatment for anxiety. 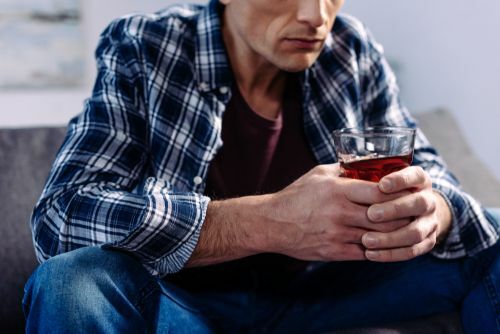 If you or a loved one suffer from excessive drinking and symptoms of anxiety, the first step in getting help is to treat the alcohol dependence. With Xanax as the leading prescription drug for anxiety, these statistics are frightening. The combination of Xanax and alcohol is extremely dangerous, making the drug a bad choice for anyone suffering from alcohol abuse or addiction. If you already take Xanax and mix it with alcohol, don’t wait for one more day to get the help you need! Why has a dependency on Xanax become such a widespread issue in this country? Because anxiety has become a serious issue. Anxiety disorders are the most common type of mental illness, affecting 40 million adults across our nation. In spite of the increasingly common use of Xanax, more than 60% of those affected don’t get treatment. Nearly half of people with depression are diagnosed with an anxiety disorder. Adding alcohol to the mix creates an unpredictable outcome for their symptoms and any medications they take. Getting medically-monitored treatment that includes behavioral therapy is the only way to safely and effectively stop abusing Xanax and alcohol and get the effective treatment they need for their underlying conditions. If you are taking Xanax differently than prescribed or using it as a recreational drug, you are abusing Xanax. The dangers of Xanax withdrawal make getting into a qualified treatment program your only option to stop taking the drug. Trying to quit on your own is too dangerous. It is also unlikely that it will work. If you are taking Xanax and alcohol or mixing Xanax with any other drugs, your risk of having serious or life-threatening symptoms is even greater. Every dosage of Xanax increases your chances of an overdose or serious side effects. You can’t stop taking Xanax on your own, and your need for increasing dosages only makes your Xanax abuse more dangerous. Don’t wait to get treatment. One reason that many people avoid treatment is the interruption they think it will cause to their life. Staying in an inpatient facility isn’t your only option. Outpatient treatment for alcohol abuse and addiction to alcohol and/or benzodiazepine lets you get treatment with minimal disruption to your life. If you or a loved one is abusing Xanax and alcohol, contact Riverside Recovery Center to schedule a consultation. We offer treatment solutions that help you live a better quality of life with a lasting recovery.